Movie and television orchestral string soundtracks of the 1970s and early 1980s stirred a young Lee Pringle and led him to dream of a life far removed from his rural South Carolina Lowcountry home. Like many African-American children in the South, he was immersed in music from an early age, from the Sunbeam Choir at his childhood church, Mt. Pisgah AME, and through band and choral lessons and activities in high school. Those experiences allowed Mr. Pringle to develop into an accomplished tenor who has sung and soloed with community choirs throughout South Carolina and North Carolina. In addition to performing, Mr. Pringle undertook many production activities, eventually leading to his own marketing and production firm, Buster-Elsie Productions. The company has coproduced and assisted in forming the Charleston International Festival of Choirs and The African Choral Festival in Ghana, West Africa; produced more than 150 orchestral and choral concerts and solo recitals regionally and internationally, and continues to foster emerging young vocalists from across the country through an ongoing series of recitals. Mr. Pringle is the founder and president of the Charleston Gospel Choir, an 85-member choir now in its 14th season, which continues to garner wide acclaim. 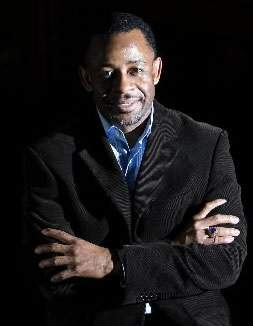 For more than a decade, Mr. Pringle has worked in a consulting role with the Charleston Symphony Orchestra as executive producer of four major annual productions, including its popular Gospel Christmas and Martin Luther King, Jr. memorial concerts. For the past seven years, his focus has been on finding ways to enhance and expand the appreciation of the African-American spiritual, a uniquely American musical genre that was largely nurtured in South Carolina. Mr. Pringle also is founder and president of the Charleston Spiritual Ensemble and the Charleston Spiritual Ensemble Chorale, groups that are recognized for their excellence in vocal performance and have rapidly built a keen following in the Carolinas. In March 2012, Mr. Pringle led the Charleston Gospel Choir and the Charleston Spiritual Ensemble on a choral tour to Ghana, the African embarkation point for many who became enslaved in the New World. The Colour of Music Festival is a ten-year dream in the making.